Origin The term pizza was originated from Latin word pinsa which means flatbread. Pizza is a flatbread in which the cheese or tomato sauce is used as toppings and is baked in an oven. Vegetables, meats and condiments are also used as toppings. Pizza is available frozen or fresh, portions or whole and considered as the prevalent fast food in North America and Europe. We could find various varieties of pizzas which are cooked in an oven. Various ingredients are used to make it more flavorful. Mozzarella cheese is mostly common in pizzas. It is widely popular in the people of all ages. It is suitable for the celebration of any occasions. The term pizza was originated from Latin word pinsa which means flatbread. Pizza is one of the favorite foods of all which has become a portrait in Italy. It is consumed as plain flat bread. It is filling, tasty and cheap to make. In early 18th century, it was widely known in Italy. While the Queen Margherita and her husband was taking a tour of Italy in late 1800’s, they was curious about the large flatbread which the people was eating. Then she ordered it. The Queen loved it very much that she gave an order to make various types of pizza. For the queen’s respect, the chef made special pizza with the toppings of Mozzarella cheese, tomatoes and fresh basil. It was the queen’s favorite food and gained lots of popularity in Italy. Mariana Pizza is topped with oregano, tomato, extra virgin olive oil and garlic. The name occurred as it is prepared by the wives of fishermen after they returned form the fishing trips of Bay of Naples. One slice of Pizza contains the minerals such as 201 mg of calcium, 2.65 mg of iron, 26 mg of magnesium, 231 mg of phosphorus, 184 mg of potassium, 640 mg of sodium, 1.43 mg of zinc, 0.112 mg of copper, 0.385 mg of manganese and 21.3 µg of selenium. The vitamins such as 0.417 mg of thiamin, 0.209 mg of vitamin B2, 4.093 mg of niacin, 0.086 mg of pyridoxine, 100 µg of folate, 56 µg of folic acid, 43 µg of folate, 17.5 mg of choline, 0.45 µg of vitamin B12, 1.5 mg of vitamin C, 74 µg of Vitamin A, 383 IU of Vitamin A, 65 µg of retinol, 98 µg of Beta carotene, 29.7 mg of betaine, 2049 µg of lycopene, 62 µg of lutein + zeaxanthin, 0.89 mg of Vitamin E, 0.05 mg of beta tocopherol, 1.27 mg of gamma tocopherol, 0.36 mg of delta tocopherol and 7.2 µg of Vitamin K.
Pizza contains the ingredients that are healthy and is also high in fat. The homemade pizza helps to have control over the ingredients that are high in fat. Tomato has lycopene which is an antioxidant that helps to counteract various types of cancer. Olive oil helps to lower the LDL cholesterol and raise HDL cholesterol that helps to prevent the chances of heart ailments. Mozzarella cheese has high amount of protein, fats, sodium and calcium. Garlic is a great source of manganese, selenium and Vitamin C. Oregano has good amount of manganese, Vitamin K, oils and fiber. Pizza is also a junk food which could lead to weight gain because it contains 3500 calories that could raise the weight by one pound. In a week, 500 calories are consumed if eaten daily. Sodium helps to maintain the balance of fluid in the body but the excessive amount of sodium raise the level of blood pressure that increases the chances of stroke. 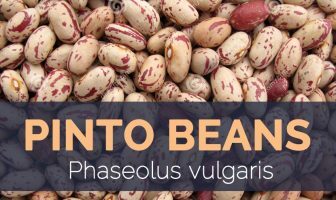 It has high amount of sodium and the studies shows that excessive amount of sodium increases the chances of stroke by seventeen percent. 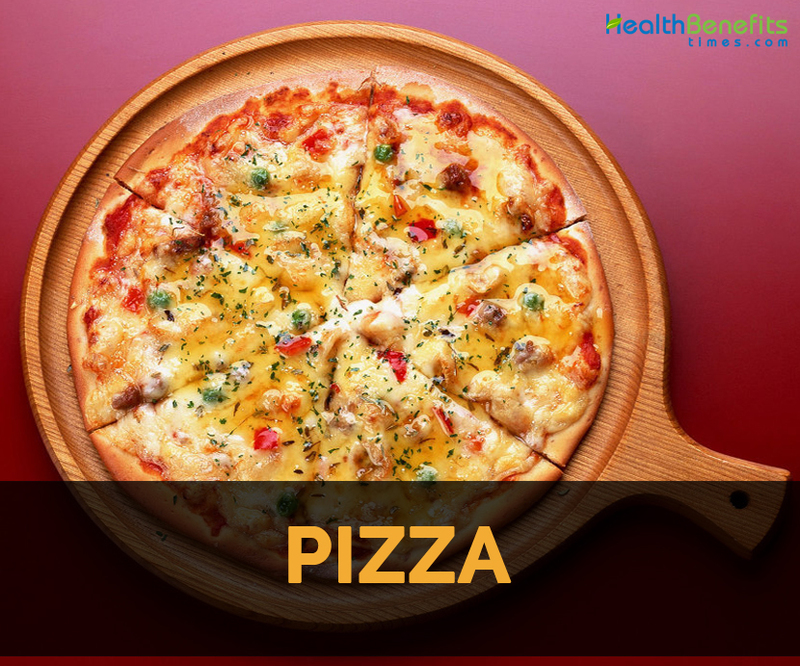 Pizza is also loaded with high amount of carbohydrates which might be difficult to digest. The daily intake of pizza might result in constipation and cause the gastrointestinal problems. Pizza contains high amount of fat, cheese and sugar that could affect the activities of hormones of the teenagers. The daily intake of oily foods raises the production of sebum oils that could result acne or breakouts. The daily intake of pizza should be avoided to maintain the skin health. The largest pizza of the world measured about 1261 square metres (13750 sq. ft). It was gluten free. Pepperoni is the famous topping for pizza in United States. In 1738, Antica Pizzeria is the first known pizzeria which was opened in Napeles (Italy). In 1895, the first pizzeria was started by Gennaro Lomabardi in New York of United States. Mayo Jaga and squid are the famous toppings for pizza in Japan. About 94 percent of American citizens consume pizza daily. About 61,269 pizzerias exist in United States. October is regarded as the national pizza month of US. In America, about 62% of the people prefer meat toppings and 38% prefer vegetable toppings. In Las Vegas (Nevada), Pizza expo is held every year. The intake of pizza once in a week can lower the chances of esophageal cancer. The term pizza was introduced in 997 AD. The world’s expensive pizza cost about $12,000. In US, approx. 3 billion pizzas are sold in a year. Since 1994, Pizza hut started to offer online pizza. In 1962, Canada invented the Hawaiian pizza. The longest pizza of the world extended as miles long which took 800 tables and 80 chefs to prepare it. How Does Protein Modification Promote Health and Weight Management? Calories 285 Kcal. Calories from Fat 93.33 Kcal. Calories 289 Kcal. Calories from Fat 98.46 Kcal.